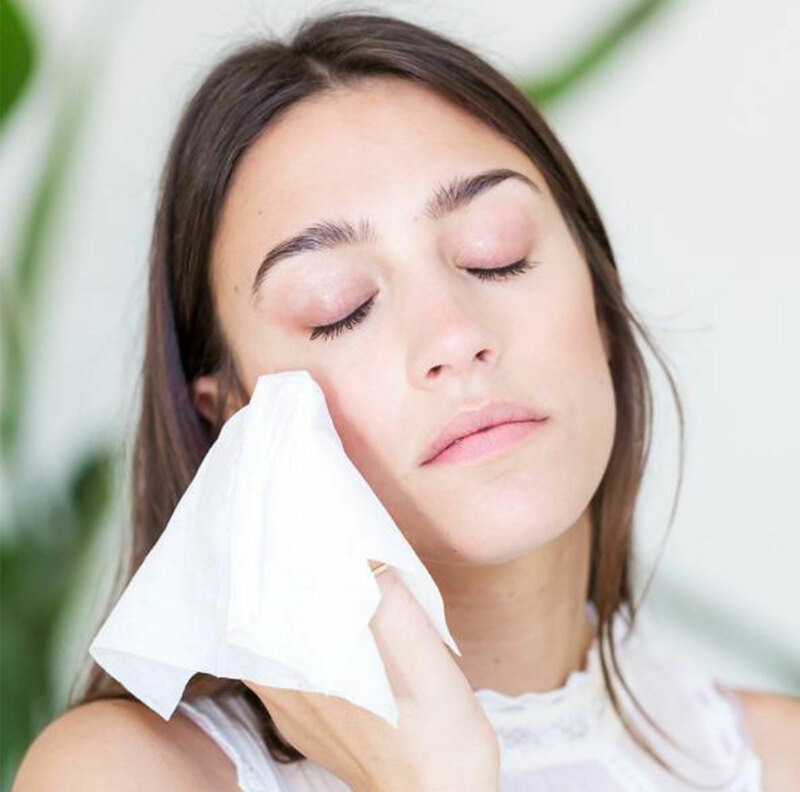 OGEE Gentle Glow Cleansing Cloths are a convenient way to easily remove makeup and a beautiful way to cleanse the skin. Each cleansing cloth contains aloe vera and jojoba oil to thoroughly remove dirt and makeup, and create a soothed and softened feel. Botanically-derived alpha hydroxy acids and oat kernel extract leave the complexion feeling luxuriously smooth with a bright and youthful appearance. Orange and lemon impart a look of clarity, while geranium visibly diminishes signs of redness. 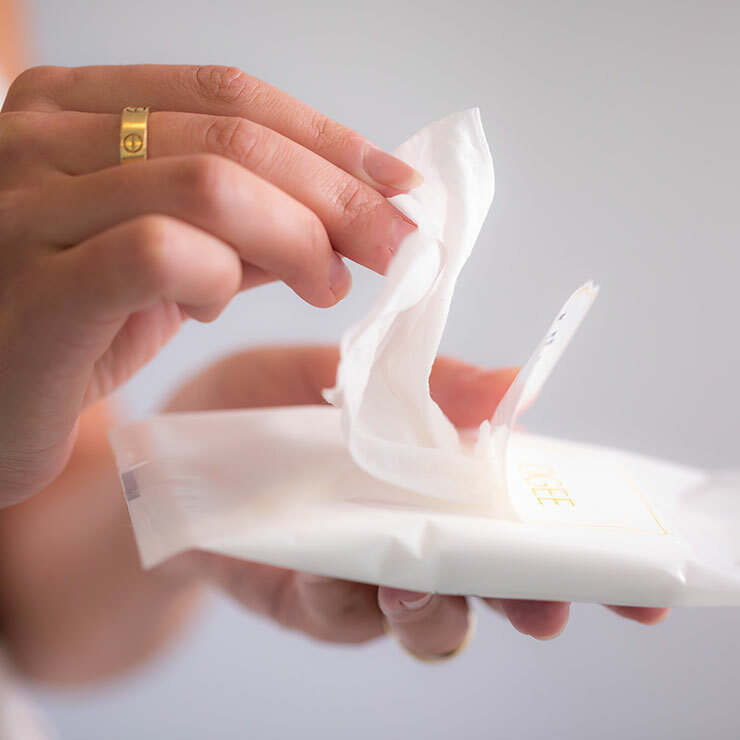 These wipes smell heavenly with davana and ylang ylang and are a handy way to cleanse any time of day. Apply cloth to face and gently press against skin to soften dirt, debris, and makeup. Swipe cloth across forehead, temples, cheeks, nose, and chin, refolding each time for a clean surface. Turn sheet over and use the clean side for removing eye makeup. Follow with serum or facial oil.